In September, we were thrilled to welcome new client the Urgent Care Association of America to the LCWA family. And last week I had an opportunity to jump right in to the association’s Annual Fall Conference in Denver. It is an exciting and important time in the urgent care industry, which has experienced recent rapid growth and continues to play an important role in today’s healthcare system. At UCAOA’s largest-ever Fall Conference, I was able to attend a variety of sessions and seminars about the issues facing the urgent care industry and meet with the Association’s leadership, including Board members and prominent urgent care owners, operators and staff from across the country. 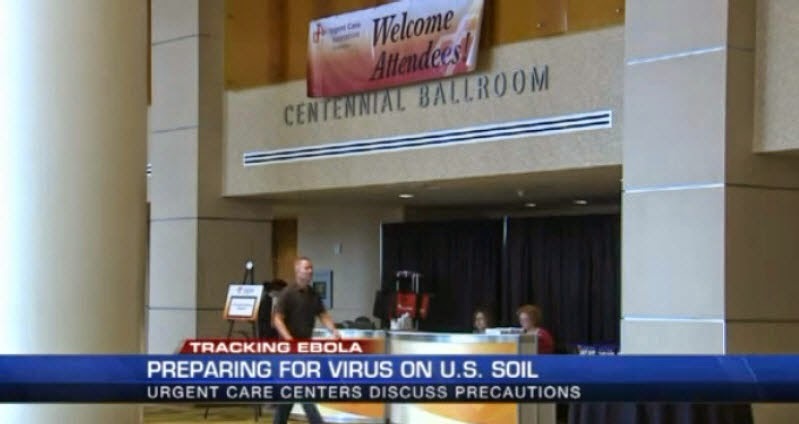 During the conference, we coordinated our first media interviews for the organization as the Ebola threat became more and more serious in the U.S., starting with a local TV segment about how urgent care centers were preparing for the virus. With urgent care centers on the front lines of this healthcare issue, it made sense for the experts of the UCAOA to weigh in on this important topic. The conference and the segment were an exciting start to our new relationship, and I look forward to sharing news of future media stories coordinated for the Urgent Care Association of America!